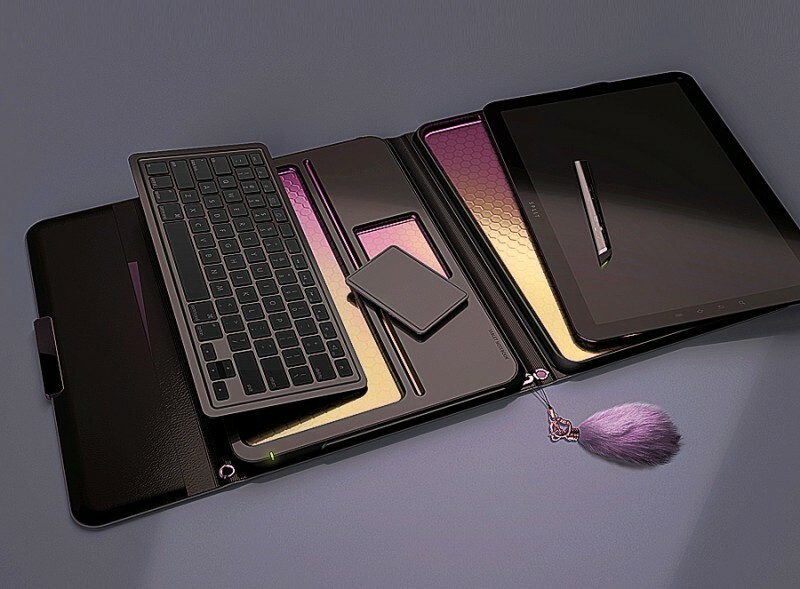 What are the most uncomfortable things when using a laptop? Probably it is the unsuitable size and weight of the laptop. Due to the improvement of a network system, most of the devices offer suitable user environment. 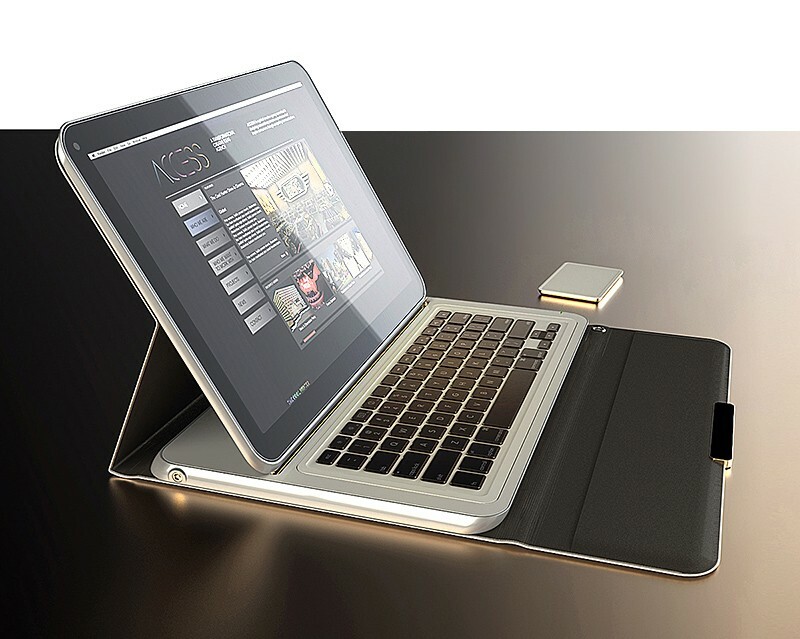 This concept overcomes all the difficulties of present laptop’s problems and applies new ideas. 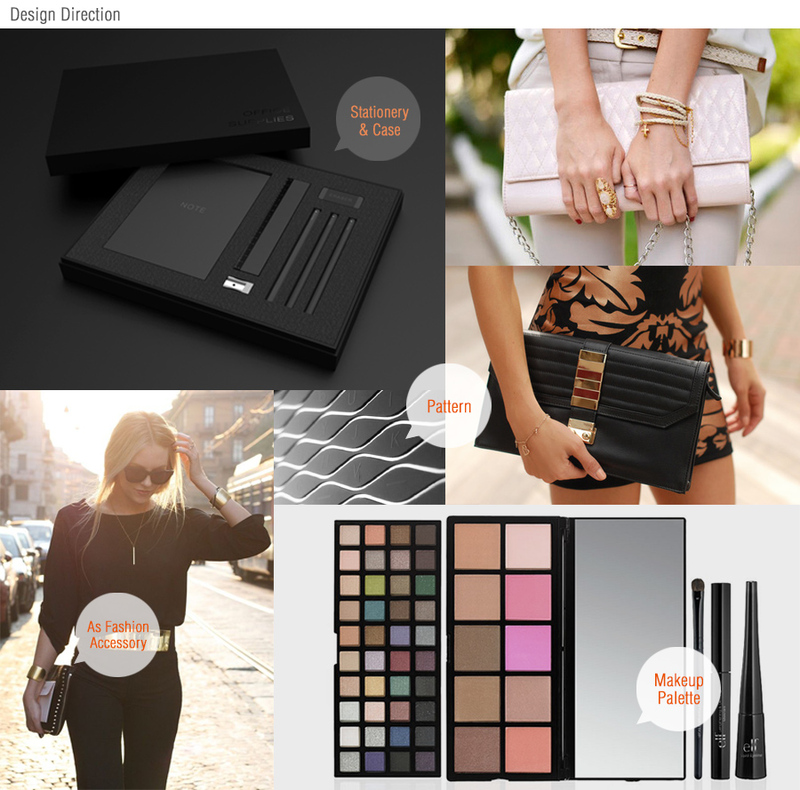 This concept configures just like the well organized cosmetic package(student supplies) set. Users can take out the things that they need and use, such as; mouse, keyboard, monitor, pen, and etc. 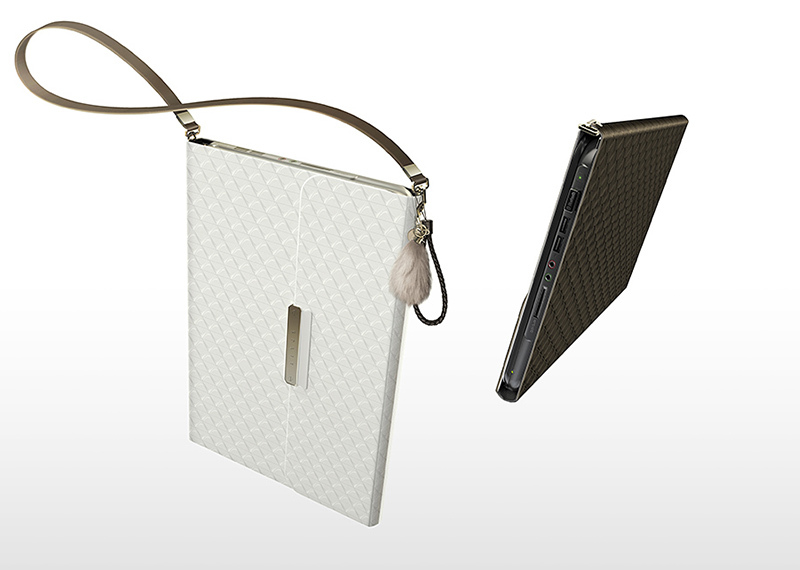 Exterior design has the feeling of women’s high end hand bag and users can choose the cover design by their taste. Taking out the big hinge, this laptop looks more like a book. 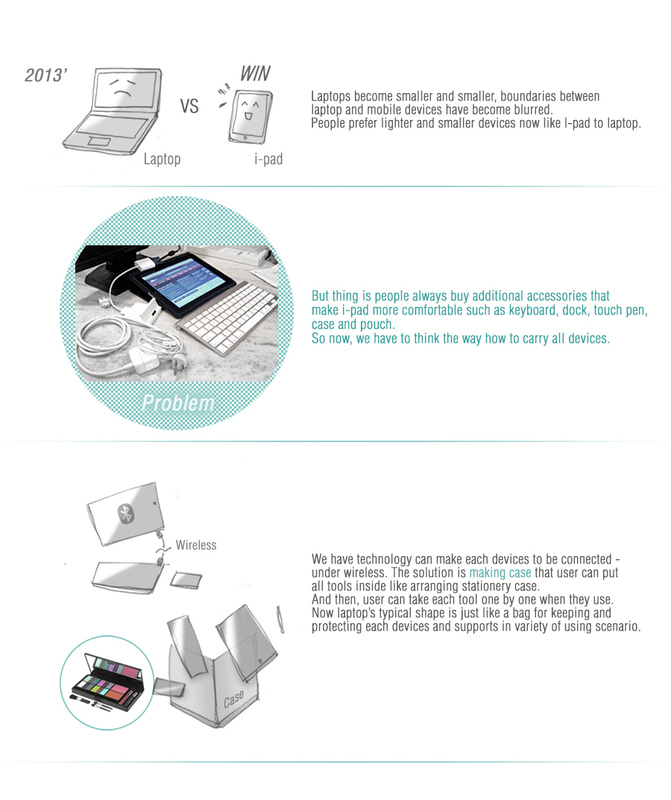 By unifying the product and case (pouch), not only the case protects the product it also helps in the user interface because the pouch allows to adjust the angle of the screen and supports at the same time. 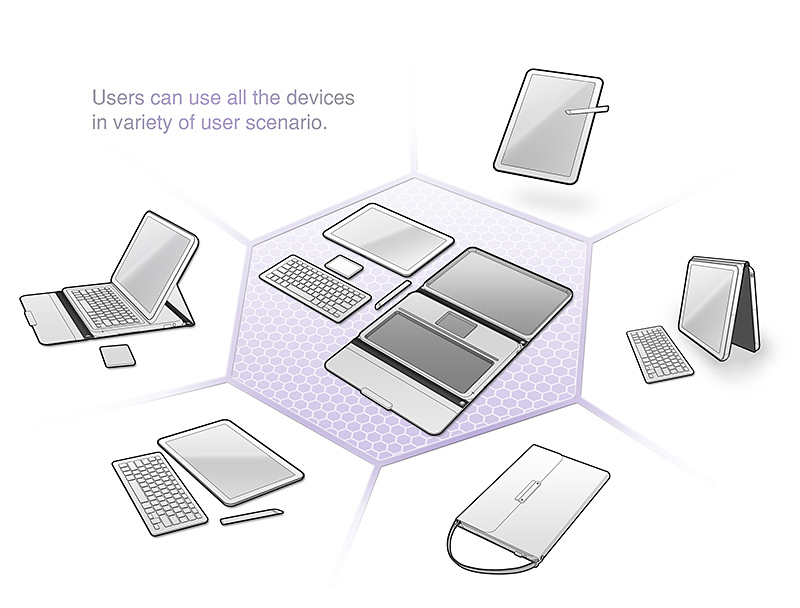 Users can use all the devices in variety of user scenario. You can take out the monitor and use it as tablet pc. And users can watch E-book and the remote (pen) helps study.